SANTA CLARA, CA, NOVEMBER 12, 2018 – Atheer Inc., a leader in enterprise augmented reality (AR) solutions, today announced shipment of the latest release of the Atheer AR management platform, which provides a richer collaboration experience and broader support for natural interactions. The first new feature is support for the use of head motion control for panning documents on supported smartglasses. 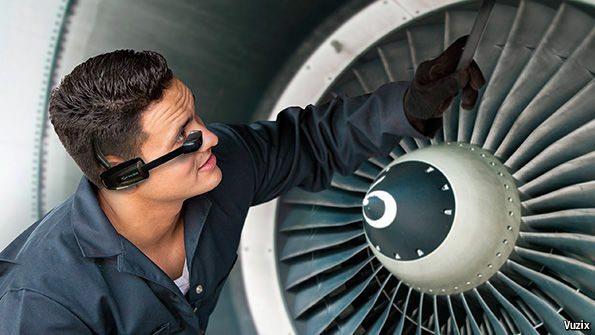 It further enriches the AR experience for industrial workers who need to keep their hands free while they work - and gives them further options for navigating through documents and images while doing so. When users view a document on their glasses, they can zoom into it to read it more easily or focus on a particular part of the document. They can then use head motion for panning across the zoomed-in document, which is much more natural and intuitive than using scroll buttons (and again, allows them to do so hands-free). This new head motion control is part of Atheer's commitment to "natural interactions" when using AR devices. It is designed to align with the vision that the company outlined in its announcement last month of the world's first Augmented Reality Management Platform. One of the pillars of that vision is a strong commitment to supporting natural ways of interacting with augmented reality devices. Those more natural ways of interacting include head motion, gestures, voice recognition and touch - allowing enterprises and their workforces to use the interaction method that best suits their use case and their devices. The ability to annotate images while in a "see what I see" video call is a popular feature of the Atheer platform. That annotation capability has now been made richer with the addition of new annotation options - including arrows, text, multi-color objects with multiple options for thickness, and an undo/redo function that helps users refine their annotations more quickly. Atheer CEO Sanjog Gad said that the new release underscores Atheer's commitment to fully realizing the power of the Augmented Reality Management Platform (ARMP) that the company announced last month. He said it will make a significant difference to Atheer's growing base of enterprise customers. "With this release, any enterprise using Atheer will be able to collaborate better and provide their workforce with greater flexibility in how they interact with the information presented to them," he added. "We are excited to deliver it to customers."